Poor data quality, outdated systems, broken business processes. These are the top complaints we hear from technology leaders – and every other type of strategic leader, from finance to operations. Our clients want solutions to these chronic headaches. A properly implemented CRM can provide them. Now, hold on. Don’t start spiraling. These knee-jerk reactions are often rooted in myths propagated by hearsay, conjecture and outdated information. In this post, we’re going to do some myth busting to help you move beyond concern to curiosity. CRMs are only for the Sales Department. Our business is unique; there’s no CRM that fits us. We use so many systems already, we can’t handle adding a CRM to the mix. Did you know that CRMs can track more than leads, contacts, accounts, and opportunities? Yeah, you read that correctly. CRM platforms can be configured to track ANYTHING. However, Customer Relationship Management is not an accurate description of these solutions, not anymore. These days, we like to call them XRMs. Just like back in high school math, the ‘x’ stands for any unknown variable. Here, the ‘X’ represents anything you want to track. Let’s say you are a large healthcare organization. You need to track patients, prescriptions, treatments, etc. Your CRM has been configured to keep track of all those items, the specific information you need to know about each, and the Relationship(s) each has to the others. You may be treating one patient for three coexisting conditions and need 10 prescriptions to do so. Things can get complicated quickly. Thankfully, all this information is stored in your CRM, so you can easily see the complete picture of who your organization is impacting and how they are being impacted. From healthcare to construction, every company has a whole bunch of interdependent variables that have nothing to do with sales. A well-calibrated CRM can help you keep tabs on all of them. They install their shiny new CRM on a server in a closet, and . . . what do we do with it now? Maybe they try to shove their business, including that poor 10% of missing functionality, into the CRM and are surprised when no one uses it. Talk about a recipe for failure. You can’t throw technology at a business and expect it to work right out of the box. The CRM isn’t the goal; it’s the tool to help you achieve the goal. Successful CRM implementations require a solid amount of discovery and analysis to nail down exactly what processes and information should be customized (and not customized) within the CRM. This means lots of questions from an internal IT team or independent consultant, and then brainstorming and collaboration to find the best solutions. Your tech experts will not only help you configure your CRM, they will provide the proper guidance and training to earn employee buy-in and adoption. Discovery, configuration, and training must combine to create a successful implementation. Maybe you’re missing certain features or custom reports that could offer the insight your organization needs to excel. Maybe what’s missing is a single source of truth. You’ve narrowed it down to two or three (Better than the four or five it used to be! ), but duplicate, inaccurate, or incomplete data is still a problem. Whatever it is you’re missing, you probably have a vague awareness that you could get it out of your current system. It would just require a lot of heavy lifting and more time than you have. If you have one, you could contact your vendor, request reports, request changes, get them prioritized, and then wait. Then, wait some more for someone to build your heart’s desire. Oh, feature request queue, you killer of dreams. Believe me when I tell you: There is a better way. CRMs are much more easily customizable than they used to be. We can help you synchronize your data into a CRM that already has the features you are looking for. You can have that custom reporting solution you crave and break free from dependence on a big vendor. Love ‘em, hate ‘em or fear ‘em, CRMs have had an enormous impact on business. 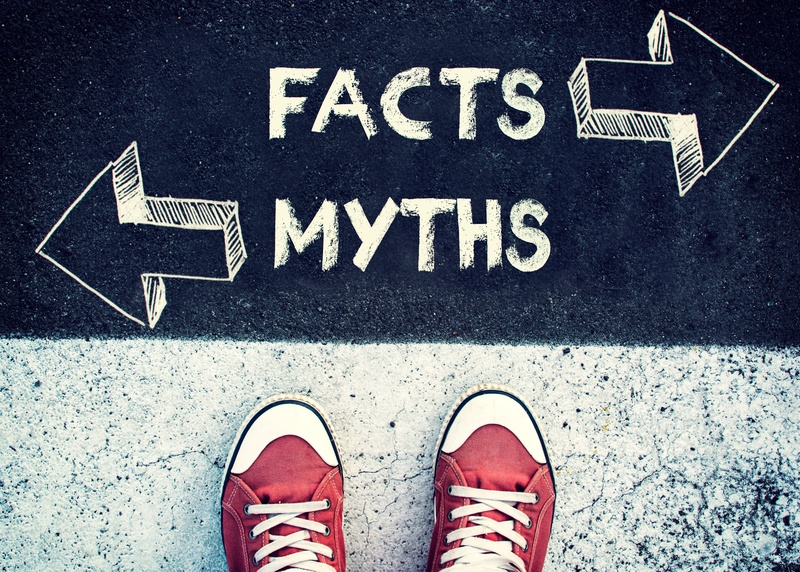 It’s a sea-change that’s given rise to a host of myths around what a CRM is and does. The reality is a CRM provides a great development platform to solve a variety of business problems, a few of which may be staring you down right now. Every department in your company, from marketing to invoicing, can benefit from the right C– I mean, XRM. Remember, they can now be expanded to track any data, any metric, and the relationships between them. When conscientiously implemented, XRMs enable automation of all kinds of common tasks (workflows) and uncommon ones too, for all you unique businesses out there. You really can have a system that accommodates 100% of your business needs and processes. We’d be happy to help you find it. Above, I’ve attempted to debunk three common misconceptions. They are myths, but when CRM implementations are bungled, they can become self-fulfilling prophesies. Don’t let this happen to you. Partner with MINDs who can help you select exactly what you need from today’s vast XRM toolbox. After earning his chops as a developer and solutions architect, a well-timed personality test gave Mike just the push he needed to embrace business development. Now he helps clients analyze and innovate for smoother, more efficient business processes. The best part of the job is all the brilliant, fun people he gets to meet.